Intel has released more information regarding the availability of Skylake, their successor to Broadwell. 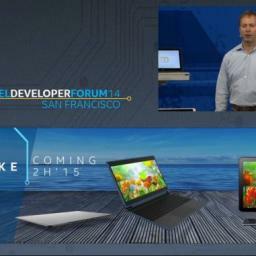 The first surprise is that Skylake is still on track for an end of year release in 2015. After the delays with Broadwell, many thought that the Skylake roll-out would be similarly pushed back. Because of the lack of delay, the first Skylake chips will ship to manufacturers only a few months after the general availability of desktop Broadwell models. Another surprise is that the Intel Gen 9 graphics completely do away with VGA connector support. That's right, the 15 pin analog "D" shaped connector is finally getting nixed - at least from the built-in Intel graphics. Unlike Broadwell, which only supports DDR4 memory on the server and the extreme versions, Skylake will finally support DDR4 on consumer rated models. I haven't posted a progress report in a while, and I wouldn't expect everyone to follow the mailing list, so here's a short list of the latest features of the site. Journals are now enabled for all user accounts! Similar to the venerable Slashcode journal, the Pipedot version allows you to write your extended thoughts and post them in the familiar story-like form – complete with comments and community moderation. An example journal story can be found here. If you where previously using the root of your user page (e.g. http://bryan.pipedot.org/) to display your feed page, you will need to instead append “/feed/” to the end of your shortcuts (i.e. http://bryan.pipedot.org/feed/) Sorry for the inconvenience. Originally, I adopted a similar system as Slashcode, where each object gets an auto-incrementing integer. However, this global increment is just not usable in terms of a distributed system. And so, after rewriting a large chunk of the site, objects are now given a unique ID that looks more like a Message-ID from Email and Usenet messages. All items (stories, comments, polls, etc...) on this site are now assigned a short code similar to those seen on Twitter (t.co), Google (goo.gl), bit.ly, and others - except that it's built into the site and automatic. These links are useful for character limited services, such as Twitter posts, as well as any other scenario where a shorter link would be appreciated. Also, like other link shortener services, you can tack a "+" on to the end of the short link to get statistics on who has clicked it. I thought the SoylentNews federation would be a cool mini-project. Combine the efforts of two nearly identical sites while improving the resiliency of both. If you missed it (the feature was online for less than a day) the idea was to combine all stories and posts from both sites into one feed. However, I seem to have greatly underestimated the disdain for such a function. Because I'm not overly fond of receiving that many threats and hate mails in a single day, I've simply turned it off and removed all references to SoylentNews in the code. Pipecode has long supported a profile picture. This feature allows you to show off your mugshot on your user page and various other places. Of course, thus far, only 4 people had managed to find and update their picture. To help prevent a missing image when viewing a profile, I've added Gravatar support to automatically populate profile images. If you do not have a Gravatar, you can still manually update your profile image with the old method. You can also disable Gravatar updates to your picture by unchecking the Gravatar option on your profile settings page. Nearly all images, icons, and logos on the site now support “retina” displays. So if you are blessed by a device with an incredibly high DPI screen, the graphics here should all look especially crisp. Truecrypt is dead. Long Live DoxBox. tdk (of s'qute) has announced a project that he has been working on the last couple of months that is of interest to those still using Windows. Easy to use, with a 'wizard' for creating new 'DoxBoxes'. Full transparent encryption, DoxBoxes appear as removable disks in Windows Explorer. Explorer mode lets you access DoxBoxes when you don't have admin permissions. Compatible with Linux encryption, Cryptoloop "losetup", dm-crypt, and LUKS. Linux shell scripts support deniable encryption on Linux. Supports smartcards and security tokens. Encrypted DoxBoxes can be a file, a partition, or a whole disk. Runs on Windows Vista onwards (see note below for 64 bit versions). Supports numerous hash (including SHA-512, RIPEMD-320, Tiger) and encryption algorithms (Including AES, Twofish, and Serpent) in several modes (CBC, LRW, and XTS), giving more options than any other disk encryption software. Optional 'key files' let you use a thumb-drive as a key. Portable mode doesn't need to be installed and leaves little trace on 3rd party PCs (administrator rights needed). Deniable encryption protects you from 'rubber hose cryptography'. 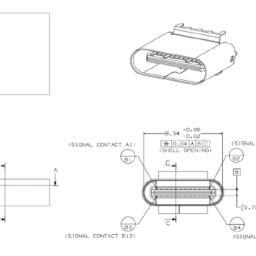 The newest specification for the USB 3.1 Type-C connector is now finalized, finally bringing improvements found in other cables (such as Apple's Lightning cable) to the USB standard. Although I know some people will undoubtedly whine about yet another USB connector, these changes are long overdue and very welcome in my opinion. Previous USB connectors have ranged from problematic (Mini-B) to unwieldy (USB 3.0 Micro-B) and badly needed replacement. 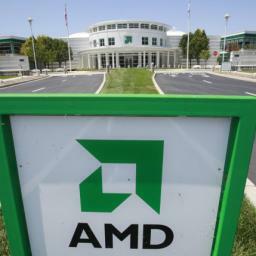 AMD will start selling a range of SSD products under the Radeon brand later this year. However, with the flash chips sources from Toshiba (19nm) and controller sourced from Indilinx (Barefoot 3) AMD isn't exactly bringing anything new to the table. Today, Digia announced that they will spin off the QT project into its own dedicated company. 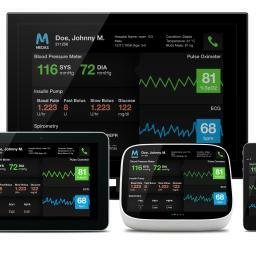 In 2012, Digia acquired Qt from Nokia and has been maintaining the enterprise and open source versions at qt.digia.com and qt-project.org, respectively. Merging the two branches and forming a dedicated company will allow the developers to focus 100% on Qt while separating development costs from Digia. 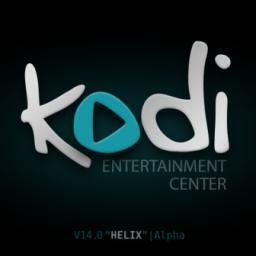 Version 14 of XBMC, the popular HTPC software, is changing its name to "Kodi" to further distance itself from its Xbox origins. Six years have passed since the Xbox Media Center became XBMC, and simply put, “XBMC” fits less now than it did even in 2008. The software only barely runs on the original Xbox, and then only because some clever developers are still hacking on that platform. It has never run on the Xbox 360 or Xbox One. Beyond the nonsensical nature of the software’s name, there is a secondary issue. Because “XBMC” was originally based on the name Xbox, the developers of the software (that’s us) have never had any sort of legal control over the use of its name, which has resulted in a whole slew of problems. 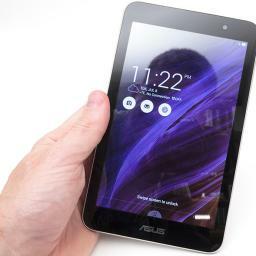 Have you seen ASUS's new $150 x86 tablet and thought to yourself: how can it possibly be so cheap? Well here's your answer. It just may be because Intel is paying manufacturers to use its chips. That's bad news for Intel. Turns out, because Intel's Bay Trail Atom processors don't have as much functionality integrated onto the chip as the more common ARM SOCs (system on a chip), it creates a higher "bill of materials" for tablet makers. Cash-rich Intel is covering the difference in cost by simply reimbursing the manufacturers for the extra components needed. That might be a stop-gap measure to ensure Intel stays "in the game" where tablets manufacturers are concerned, but a long range strategy it is not. In the meantime, this is a good time to scoop up a cheapo tablet! 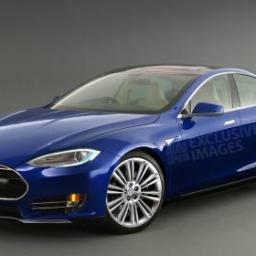 Tesla founder and CEO Elon Musk has revealed plans for a new electric BMW 3 Series rival, including its name – Tesla Model 3. There were rumours that a new smaller Tesla Gen III model was to be called Model E, but in one of his most candid interviews yet, Musk revealed why he had to have a rethink on the name. Gizmodo thinks this model will be a game changer. Why? For starters: it's a consumer model, priced at $35,000 (a third the price of previous models), and the range is double previous models at 200 miles. Lastly, now that they're opening up the battery tech there is an overt effort to make sure you can charge one of these things anywhere, anytime. Check out the Gizmodo article for some breathless comparisons to Henry Ford's Model T. But it does look like getting a Tesla is about to become a much more obvious option for the casual consumer. Once hailed as the most free and widest used X toolkit, the future of GTK+ now looks dire. The gnome developers have essentially highjacked the latest version, GTK3, and are actively destroying all ability of non-gnome users from using this once popular toolkit. I find this very unsettling, as I have developed a number of my own desktop applications using GTK+ through all three of its major versions. I've always preferred GTK over QT, but with some of the recent changes, I'm starting to change my mind. Of course, I'm hardly alone in this opinion as many other projects have abandoned GTK in the recent months. Take Audacious, for example. This GTK music player has had increasing troubles with the gnome developers screwing things up. So many troubles that they are now planning on switching toolkits rather than further deal with the upstream management. Although they had a functional GTK3 port, they've officially reverted back to GTK2 until they can properly refactor their entire program into QT. I've been a happy user of the XFCE desktop environment for the last few years. This light and easy to use UI gets out of the way and just plain works. However, the interface toolkit of XFCE is tied to GTK2 and its authors have no clear upgrade path. A similar project, LXDE, has also seen the writing on the wall and are well into a rewrite project that switches their preferred toolkit from GTK to QT.